We play rain, sleet, or Texas heat!!! Play Care is a SUPER fun time at The Retreat at Arlington Heights Animal Hospital! Bring your dog in for a fun-filled time in our INDOOR Daycare facility equipped with 2 climate controlled play yards with lots of room for romping! We strive to offer a great daycare program for all dogs and their pet parents offering an accommodating schedule, a great environment, plenty of socialization, and lots of feedback! Please contact The Retreat at 817-735-8700 opt 2 to make your dog a Play Care Pooch today—we would love to give you a tour!!! We offer Play Care Monday through Friday with morning and afternoon play sessions. Your pet can participate in just the morning or just the afternoon session or you can opt for all day! 4:30PM – 6:00PM – Time to go home! Pet Parent’s pick up their Play Care babies!! Do I need to schedule ahead of time? 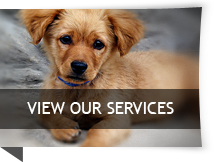 Walk-in Play Care pups are welcome, but we DO encourage you to call ahead to ensure availability. We want each and every visit for our Play Care pups to be safe and fun with plenty of staff attention so we allot for a specific ratio of staff to dogs to help ensure this consistency; therefore we may not always be able to accommodate walk-ins. You can contact The Retreat staff to schedule and check availability for your Play Care Pooch. Who will my dog play with? Every Play Care Pooch will receive a complimentary personality assessment to determine his or her “Social Status” at the time of her first Play Care session. The Play Care groups are organized according to pet size, personality, and sometimes age depending on the pet’s health status. Our Play Care Coordinator normally assesses each pet with the best fitting group and will help integrate your pup to the Play Care pack. What will my dog do as a Play Care Pooch? Play Time!!! We want EVERY Play Care Pooch to thoroughly enjoy Play Care with wagging tails and happy barks when they get here!!! We also know that some dogs play great with everyone, while some find a best friend that they play best with or even a staff member they play best with. Activities for our group dogs are fetch, tug-of-war, chase & tag! Our Play Care Coordinator has a personal goal of helping especially timid dogs socialize and become comfortable with a group setting so that they can join in on the fun too! How did my dog do?-Report Card Time!! Is your dog an A+ Play Care Pooch?!? We will give you a fun evaluation of how your pet did at Play Care with our daily report cards! You will know who your pup made friends with, what your pup’s favorite game and toys are, and what we are helping your fur baby work on. Please contact The Retreat at 817-735-8700 opt 2 for your pet to become a Play Care Pooch today! Want to see our indoor Play Care facility in person—ask our staff for a tour!! !